I have a love of all things potatoes and I decided to take small factors I have seen from other recipes and just make my own. When it comes to the herbs and spices with this, it is really up to you how much you add. I like flavorful but not overpowering. Preheat oven to 425 degrees. 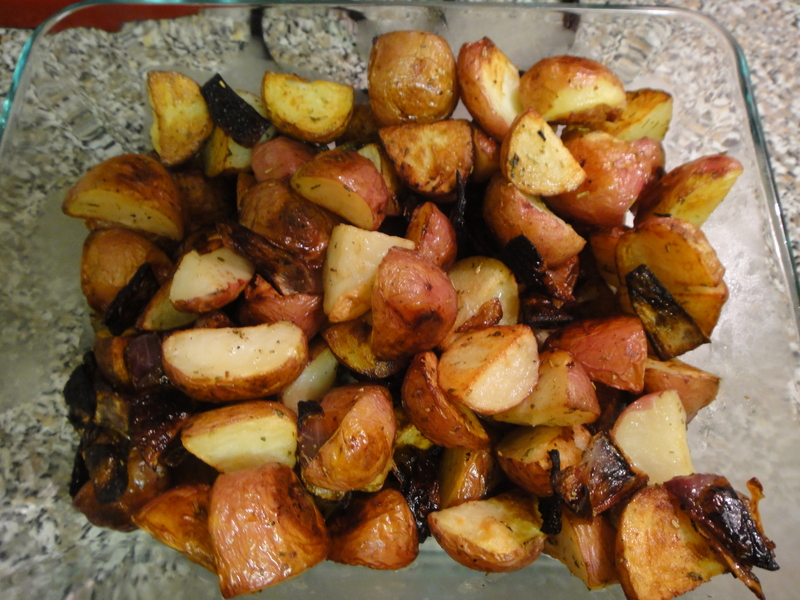 Scrub and dry potatoes. Cut them into quarters. If using an onion, cut into ¾ to 1 inch pieces. Toss all ingredients into a bowl. Mix in olive oil, salt, pepper, rosemary, and parsley until evenly distributed. 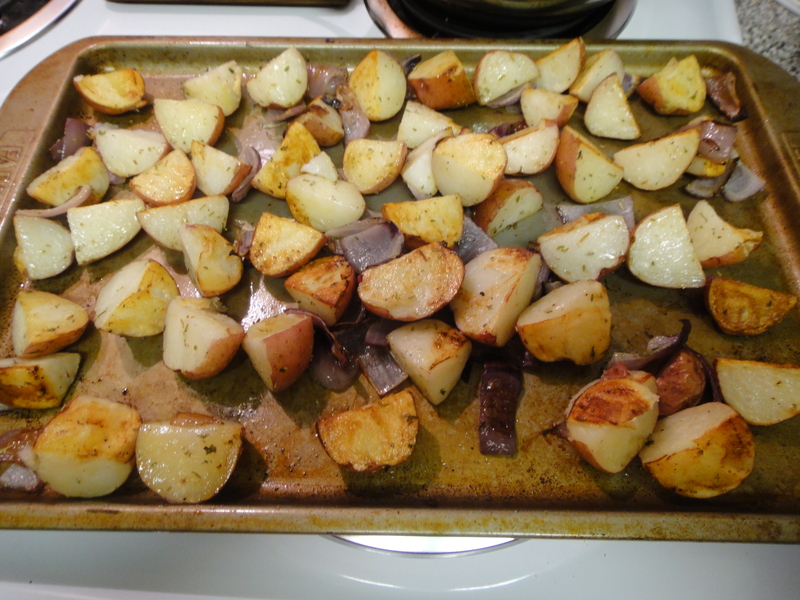 Put the potatoes and onions on a baking sheet, cut side down on the potatoes. 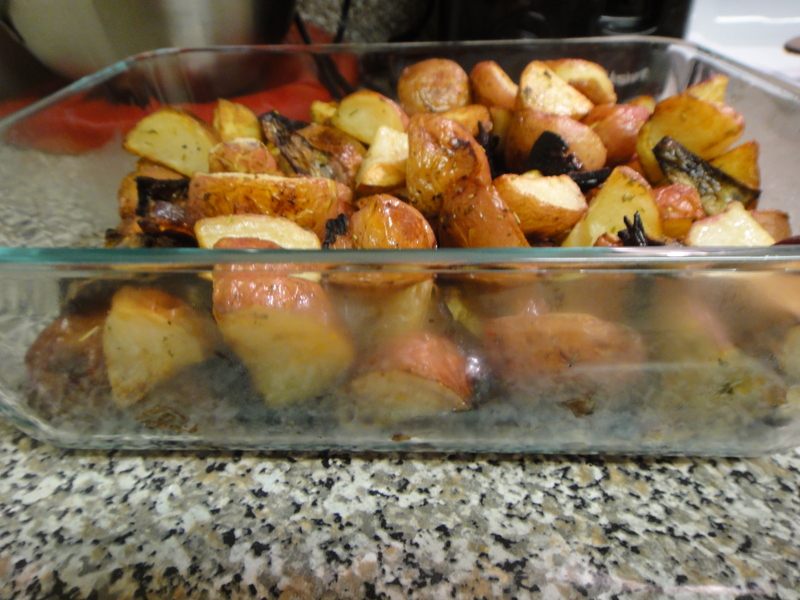 Bake 40-45 minutes, turning the potatoes after 20 minutes. If some of the onion pieces bake too quickly then take them out and stick them on a plate. This is what they look like after you turn them. I forgot to take pictures before this step but it is pretty basic. Off the baking sheet, and into a serving/storing container. Another view. Om nom nom!